Poverty remains one of the most urgent issues of our time. 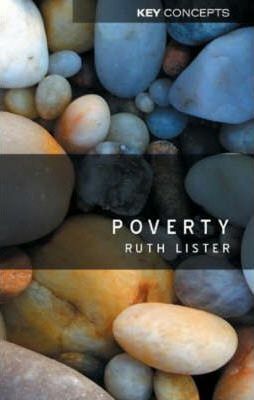 In this stimulating new textbook, Ruth Lister introduces students to the meaning and experience of poverty in the contemporary world. The book opens with a lucid discussion of current debates around the definition and measurement of poverty in industrialized societies, before embarking on a thought--provoking and multi--faceted exploration of its conceptualization. It draws on thinking in the field of international development and real life accounts to emphasize aspects of poverty such as powerlessness, lack of voice, loss of dignity and respect. In so doing, the book embraces the relational, cultural, symbolic as well as material dimensions of poverty and makes important links between poverty and other concepts like well--being, capabilities, social divisions and exclusion, agency and citizenship. It concludes by making the case for reframing the politics of poverty as a claim for redistribution and recognition. The result is a rich and insightful analysis, which deepens and broadens our understanding of poverty today. This book will be essential reading for all students in the social sciences, as well as researchers, activists and policy--makers. Poverty remains one of the most urgent issues of our time. In this stimulating new textbook, Ruth Lister introduces students to the meaning and experience of poverty in the contemporary world. The book opens with a lucid discussion of current debates around the definition and measurement of poverty in industrialized societies, before embarking on a thought-provoking and multi-faceted exploration of its conceptualization. It draws on thinking in the field of international development and real life accounts to emphasize aspects of poverty such as powerlessness, lack of voice, loss of dignity and respect. In so doing, the book embraces the relational, cultural, symbolic as well as material dimensions of poverty and makes important links between poverty and other concepts like well-being, capabilities, social divisions and exclusion, agency and citizenship. It concludes by making the case for reframing the politics of poverty as a claim for redistribution and recognition. The result is a rich and insightful analysis, which deepens and broadens our understanding of poverty today. This book will be essential reading for all students in the social sciences, as well as researchers, activists and policy-makers. Chapter one -- Defining Poverty. Chapter two -- Measuring Poverty. Chapter three -- Inequality, Social Divisions and the Differential Experience of Poverty. Chapter four -- Poverty and Social Exclusion. Chapter five -- Discourses of Poverty: From Othering to Respect. Chapter six -- Poverty and Agency: From Getting By to Getting Organized. Chapter seven -- Poverty, Human Rights and Citizenship. Ruth Lister is Professor of Social Policy in the Department of Social Sciences, Loughborough University.